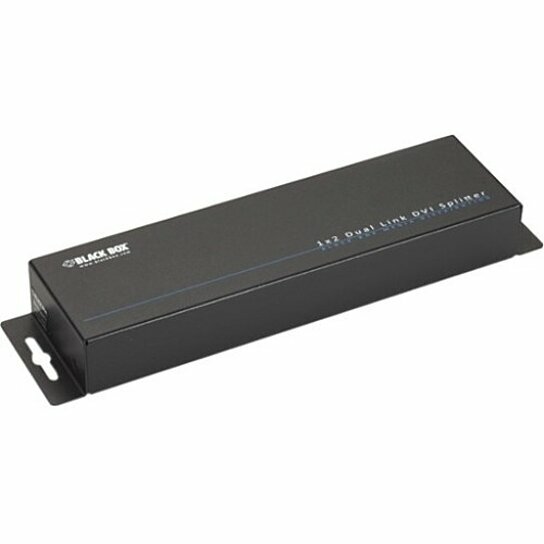 Two-port splitter for duplicating dual-link DVI-D video. Features a wide video frequency range, up to 300 MHz. Use for digital signage, studios, classroom and conference presentations, any video broadcasting application. DIP switch-selectable EDID learning of screen info. Features electrostatic discharge (ESD) protection.